See the Big Apple’s most iconic landmarks in comfort and style! 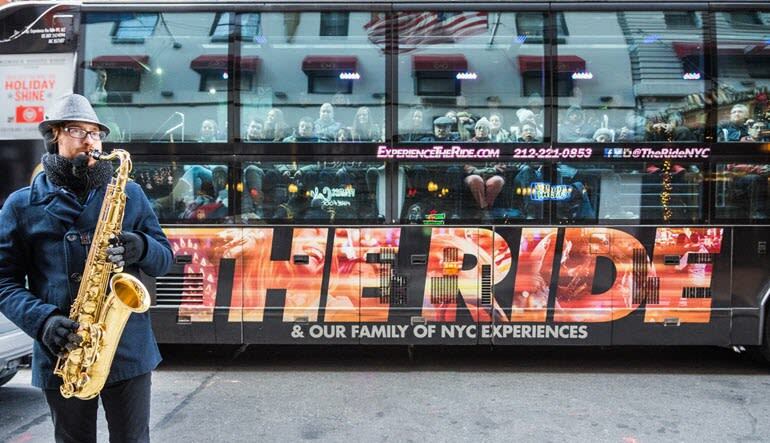 Hop aboard a custom-designed, multi-million dollar bus for an interactive New York adventure like you’ve never seen before! Using patented integrated technology, this bus tour is much more than your typical drive down the street. With live narration from your licensed navigator, for 90 minutes you’ll immerse yourself in the sights, sounds, and stories of the iconic neighborhoods that make up Midtown and the Upper West Side. You’ll not only be able to take advantage of the custom floor-to-ceiling windows to see landmarks, you’ll also view several surprise performances along the way! 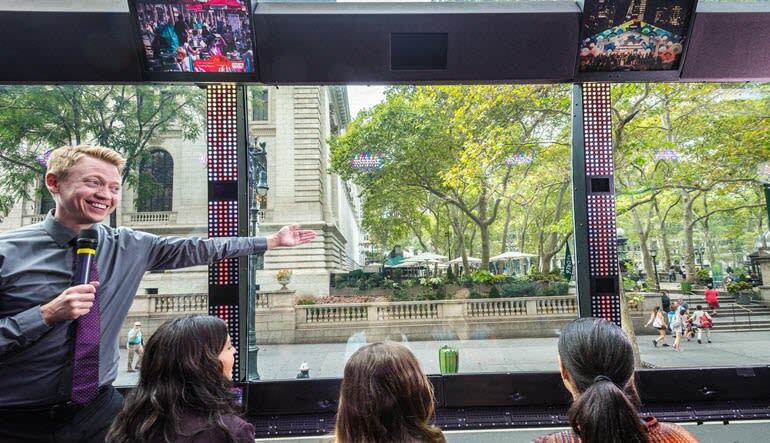 There’s no more unique way to see the gems of NYC than on this interactive tour! Why wander the streets when you can see the sights in style? Be wowed, book today! A multimedia 90-minute bus tour of Midtown Manhattan and the Upper West Side! See the Bryant Park, Rockefeller Center, Radio City Music Hall, the Empire State Building, Times Square, Central Park, and more!